Middlesex University and the University of Bedfordshire will collaborate on an international three-year research project to develop and evaluate the world’s first culturally aware robots aimed at assisting in caring for the elderly. Irena Papadopoulos, Professor of Transcultural Health and Nursing at Middlesex University, will be responsible for developing the cultural concepts and guidelines so that robots are able to respond to the culture-specific needs and preferences of elderly clients. “Assistive, intelligent robots for older people could relieve pressures in hospital and care homes as well as improving care delivery at home and promoting independent living for the elderly,” she says. “In order for robots to be more acceptable to older people it is essential that they can be programmed to adapt to diverse backgrounds and this is where my expertise in transcultural nursing comes in. Care robots that are culturally-aware are likely to meet with greater acceptance from both the older people and their carers. 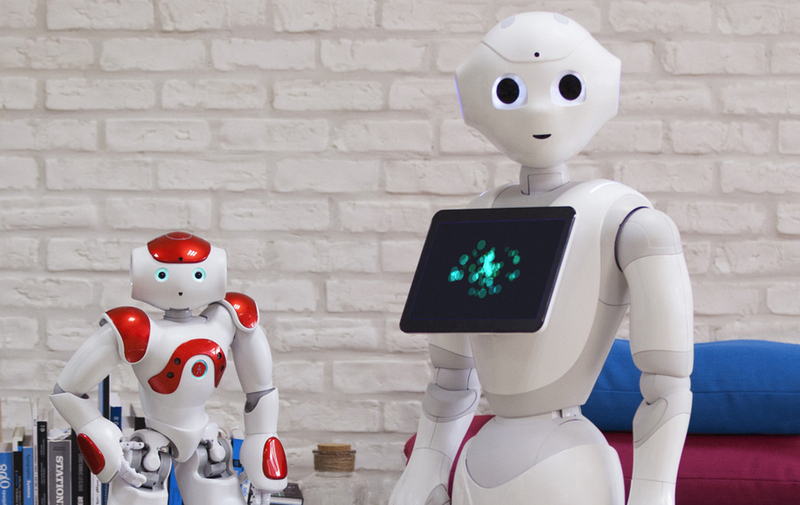 From transcultural nursing to robotics, the project will involve specialist researchers from all over the world and will expand the capabilities of the Pepper robot, which is designed and marketed by Softbank Robotics. Dr Chris Papadopoulos, a Principal Lecturer in Public Health from the University of Bedfordshire, will lead a team that will test and evaluate the robots’ impact upon care home clients’ health and wellbeing. “The project is truly ground-breaking. Building culturally aware Pepper robots that can autonomously reconfigure their interactions to match the culture, customs and etiquette of the person they’re caring for, means that they are more likely to be accepted by elderly clients,” he explains. It is hoped that the project will not only reduce pressure on healthcare services but also boost independence, reduce loneliness and ultimately improve quality of life among elderly people. The research group will meet for the first time in London on 30 and 31 January 2017 at Middlesex University to develop the project. The research is jointly funded by the EU and the Japanese Government within the H2020 research. Other EU Partners: Middlesex University London, UK; University of Bedfordshire, UK; Softbank Robotics Europe, France; Advinia Healthcare Limited, UK; University of Orebro in Sweden, Professor Alessandro Saffiotti. Other Japanese partners: Nagoya University, Chubu University.